In World War I the German Army decided that its standard rifle, the Gewehr 98, was too long for effective use. There was little that could be done at the time, but by 1924 Mauser had developed a rifle shorter than its Gewehr 98 and based on its “Standard” model for export sales: this was manufactured in Belgium and other countries, but did not enter German production until 1935 as the Karabiner 98k (the letter suffix standing for kurz, or short). German production resulted in the delivery of millions of these weapons before 1945, and numbers were further boosted by manufacture in Belgium and Bohemia-Moravia (occupied Czechoslovakia). 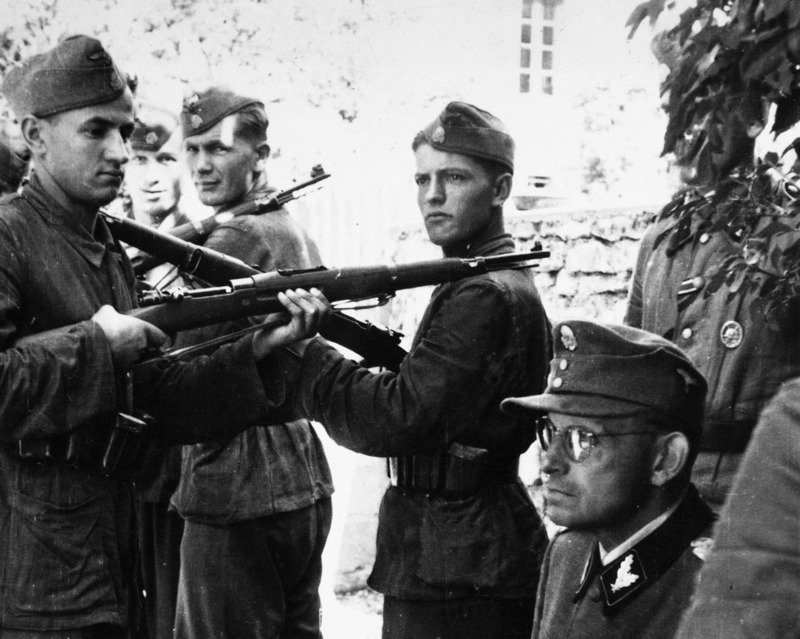 As was inevitable in a programme of this size and duration, there were a number of variations in length, weight and furniture: late-production Kar 98k weapons, for instance, lacked any bayonet lug. Service experience confirmed that the Kar 98k was both sturdy and accurate, but also that the small capacity of the five-round magazine was a tactical disadvantage. Another rifle based on the “Standard” Mauser rifle was the 7.92mm Model Chiang Kai-shek, or “Generalissimo”, that was introduced in 1935 and was to all intents and purposes identical to the Kar 98k. Another close relative of the Kar 98k was the Belgian 7.65mm Fusil modèle 35 that was later taken into German service as the Gewehr 262(b).